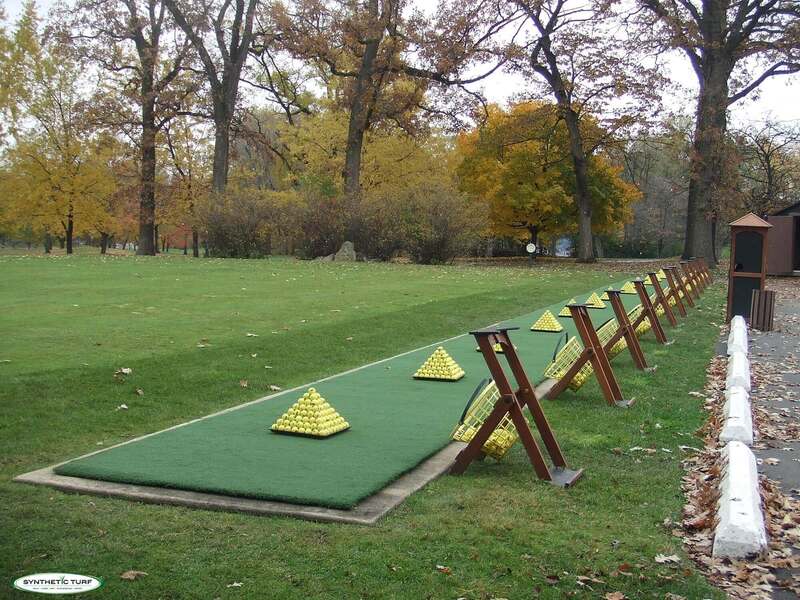 Driving ranges take a beating, especially in the wet and colder months. 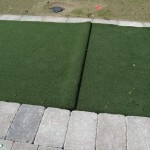 The solution is our Tee Turf. 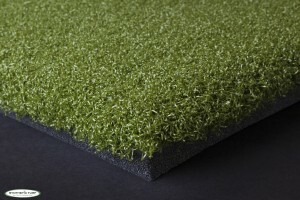 This soft, yet extremely durable fiber material provides that “down and through” feeling, just like the real thing. 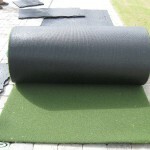 We offer this turf in both nylon and polypropylene. 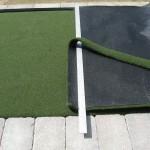 This “tee line turf” is made specifically for tee lines, hitting mats, tee boxes, and any practice facility or home range. 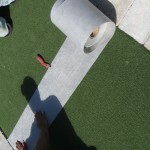 This incredibly innovative surface all the use of a real wooden tee and provides no “bounce” or false feed-back. 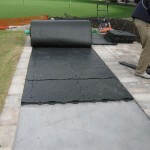 Listed below are the four different sub-base options the turf needs to be installed on top of. 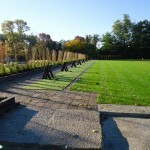 All of these tee line systems can be installed by most superintendents and their crews. 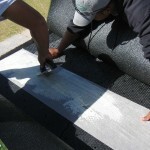 Partial or turn-key installation is also available if so desired. Please contact us for more information. 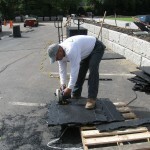 Asphalt Pad – More expensive than stone but will hold up much longer. May develop low spots or crack. It does not allow for any “give” should someone hit down too far or too steep. 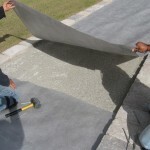 Concrete Pad – More expensive than asphalt but will hold up longer. It is less likely to crack and will not develop any low spots. It creates even less “give” than asphalt does. 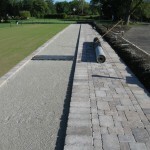 Modular Panel Base – Costs more than stone but is less expensive than asphalt or concrete. 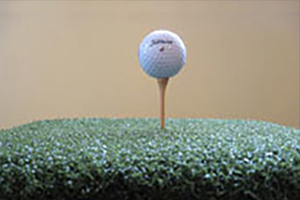 Allows for a smooth surface forever, will not crack or settle and provides exceptional shock for the golfer. This entire system can be self- installed, partially installed with us doing some or complete turn-key installation. 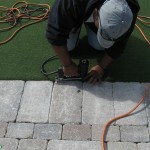 Below are pictures of a modular base system being installed along with the turf.